WhatsApp is probably amongst the top 5 applications you use on your phone daily and life without WhatsApp is quite boring. The biggest and most used app has achieved a new milestone. 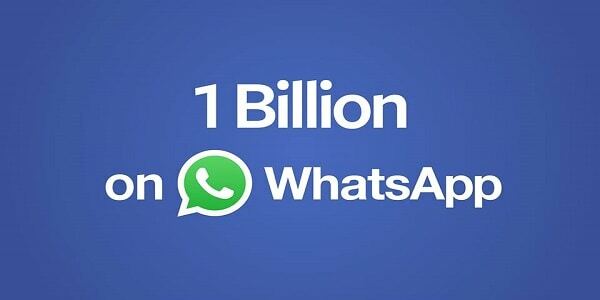 Facebook’s WhatsApp has crossed one billion active users. It helps you to stay in touch with your friends, make groups and share files and even call other people through the service. WhatsApp has really become a rage amongst younger generation these days. The popular messaging application has grown exponentially over the years, breaking all records and creating new ones. 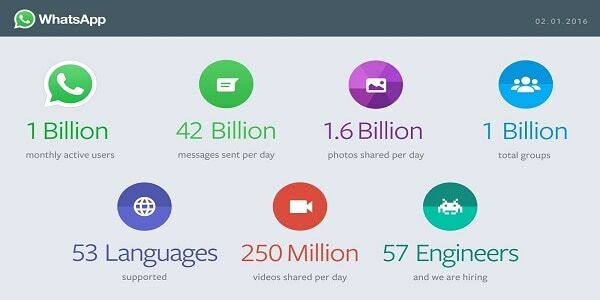 It has been 6 years and WhatsApp has reached One Billion users globally. WhatsApp has got double users since Facebook-owned it and they have also made it completely free for the people using it by removing the subscription fee. WhatsApp has brought a major change in the lives of people and eased the process of connectivity. The majority of WhatsApp users belongs to India.